This is the quintessential winter delicacy. 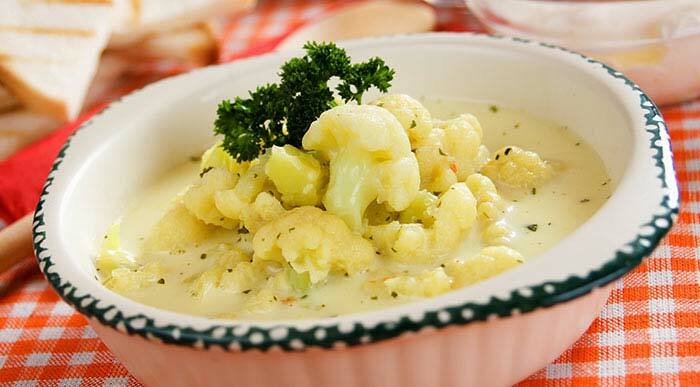 You can serve it piping hot to kids and family on those chilly winter evenings! The use of olive oil and garlic adds to the unique flavor of this nutritious soup. Then add the potato and cauliflower florets. Add the stock and boil. Add pure cream and cook for a while.